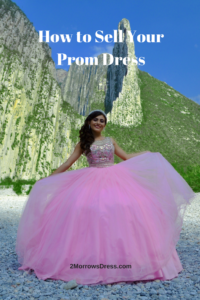 Now is the perfect time to sell your Prom Dress! Prom is just around the corner. Most Prom events occur in April, and many Canadians buy a formal gown for “grad” (graduation events that are like American Prom). Here are some tips to get the best deal for your dress. Decide where you are going to sell it. Expensive name brand & designer dresses sell very well on eBay. Check out similar listings and price accordingly. If the dress is in perfect condition you may get close to 30-50% of the original retail price. Off-brands may actually sell better on Craigslist, or to a younger friend. Ask your younger friends, younger Sister’s friends, etc if they know any one that would like to buy your dress. A local buyer will save on shipping and eBay fees. If posting on Craigslist, be safe and offer to meet the potential buyer at a local coffee shop or some public place with a bathroom that is clean enough to let your dress be tried on. Consignment stores are really the worst option for Prom resale. Your beautiful dress is likely to be damaged in the store and may not sell before prom, then you no longer have the dress nor any money. The consignment store sets the price for your area, but it may sell for considerably more money in another location. Have the dress professionally cleaned after you know what it may sell for. It is silly to spend $40 on cleaning for a dress that will likely sell for $75 used. But, $40 to clean a designer dress that will resale for several hundred dollars is worth it. The resale value of the dress will also give you a better idea if requires any repair. Again, consider the resale value of the dress with cleaning and repair to determine if it is worth selling. Post several well-lit photos of just your dress. Get close-up photos of the bust, any embellishments, and full length front & back. It is better to crop your head out of the photo and show the dress being worn, than a shapeless mass on the hanger. Be careful using “stock” photos, but if you have the original designer name & style number you may be able to post a link to a photo of your dress, in addition to the photos that you took. Make sure you mention that it was previously worn, if you are selling locally (like Craigslist or classified ad) disclose what school & year it was worn. Any damage, repair, stains or any sign of wear must be mentioned or you will have a very unhappy buyer (and an unwanted return). Provide dress size and measurements. Include the designer size chart, if available, but get a real measurement of the dress. Sometimes the easiest way to measure the dress is while you (or someone who fits in it) is wearing it. Alterations can be a good selling point. If you are petite and had the dress hemmed, be sure to mention how tall you are, how tall your shoes were, and the finished length of the dress after hem. If you kept any extra fabric from a matching wrap, or leftover fabric from alterations be sure to mention that too. Extra fabric can be used for a matching headband or accessory, and to coordinate the date’s tux. Most prom dresses are bulky, and really not that heavy. Compare prices for regular USPS, FedEx, and UPS. If your dress can fit in a smaller (less than 12 inches long for the longest side) it is almost always cheaper to mail through regular postal service. If your dress contains ANY beading or embellishments that could be crushed or broken, use a box! Follow the tips in the article to sell your dress. Best wishes! I have 2 Jovani dresses I paid 800$ for the first and 875$ for the second I just want to get rid of them I want 300$ for the two is there anywhere I can just take them in and exchange for cash same day? Check your local stores. As Prom season approaches, there may be someplace in your area. Unfortunately, most stores work off consignment, so you do not get the cash until they sell your dress. Try listing on Craigslist, or better yet, eBay auction style listings do well do get your dresses sold quickly. I have a few dresses I need to sell at good prices made by a client , the dresses have not been worn .I urgently need buyers . I need these 27 dresses to leave , our store is only focusing on hand bags and shoes …. what sould I do …. ? It sounds like you have had these dresses in store with no luck. The next step is to get some great photos and post on-line. Craigslist is free and a quick place to start but eBay will give you the best exposure for a wide audience. Include exact measurements, lots of photos, and good descriptions. Make sure these dresses are priced to sell (yes, the may include a lower profit or even a loss), and include a discount for buying more than multiple dresses. Good luck! I have a 14 wide Ivory champagne wedding dress from David’s bridal for sale. It has never been worn or altered. I live in Piedmont please email me if interested. Good Luck selling your wedding dress, Kaila. 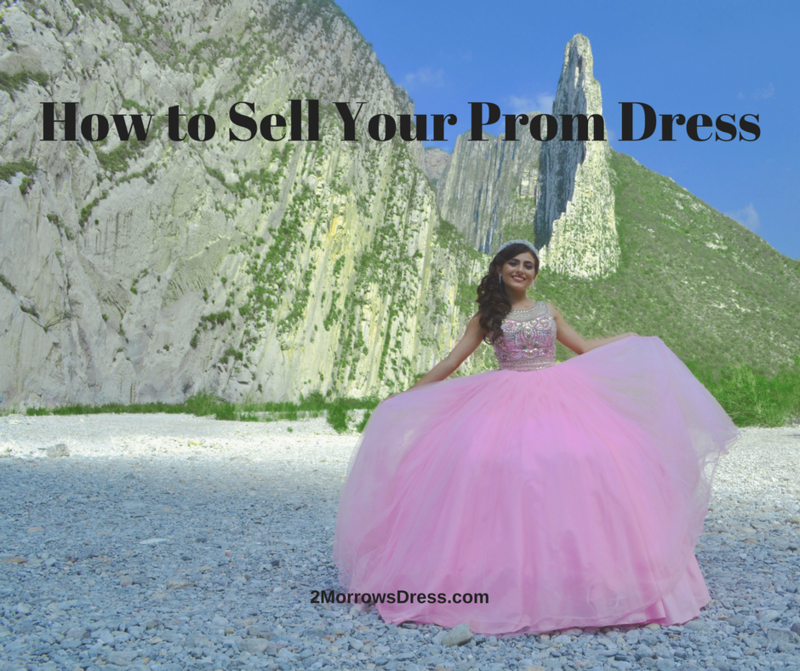 Many of the tips I suggest for Selling a Prom Dress are the same for selling a wedding dress. The best news, is people buy wedding dresses year-round, so it is actually easier to sell. I have a jasz couture prom dress. Dress style 4906 never worn with tags still. I’m in need to get rid of it ASAP. It was 600. But I am just looking for the best offers I can get. Prom season is over, your best option is going to be eBay. Price it very low for faster sale. Be patient, summer is the worst time to sell your dress. Now is the perfect time to sell that dress! Jovani dresses are well made and uber chic, so this should be pretty easy to sell. If you are comfortable trying to sell it yourself, then try Craigslist and eBay first. Post multiple photos of the dress, front, back, close-up photos of any special detail. Of course, the dress should be clean and easy to see in the photos. For security & privacy, crop out any faces in the photo. Focus on the dress. Include exact measurements, material type, etc. Since this is a $600 Jovani, be sure to mention how much you paid and when. Is the dress from Prom 2013 or older? eBay will take a small fee to list and when it sells, and you can include in town pick-up or shipping to reach a wide audience. Craigslist is free to list, but be careful and meet any potential buyers in a public place. I like local coffee shops with big, clean bathrooms so they can try on the dress. Best Wishes to sell your Jovani Prom dress!